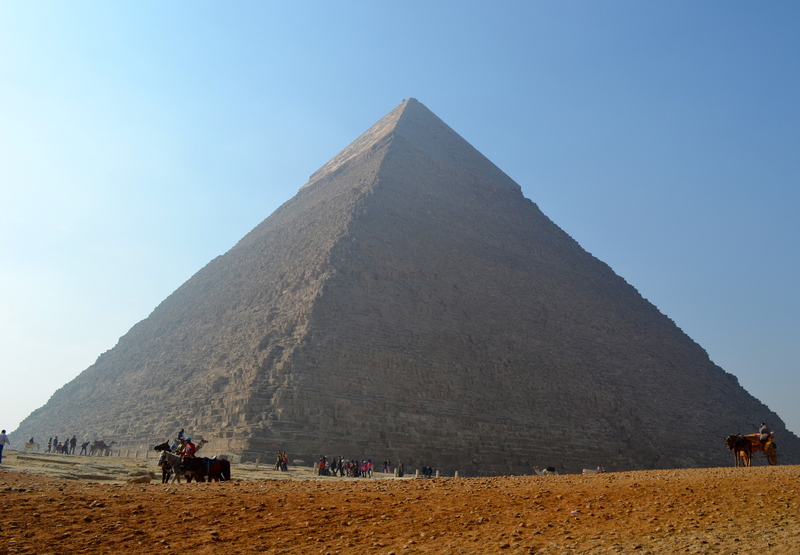 Experts using radiography to scan the Great Pyramid of Giza have found evidence that there are two “previously unknown cavities” in the pyramid, AFP reported. The scans, which employed a mix of infrared thermography, muon radiography imaging and 3D reconstruction, revealed “two anomalies” in the 4,500-year-old Khufu pyramid. According to the experts, the scanning technologies are non-invasive and will not affect the structure of the pyramid, which has three known chambers. “We are now able to confirm the existence of a ‘void’ hidden behind the north face, that could have the form of at least one corridor going inside the Great Pyramid,” according to experts from Operation ScanPyramids, which began last October in a bid to reveal hidden rooms in the Khufu and Khafre Pyramids. Earlier this year, Egypt’s Ministry of Antiquities announced that two previously undiscovered chambers were revealed by scans of King Tutankhamun’s tomb. The findings lent credence to British archaeologist Nicholas Reeves’ theory that Queen Nefertiti’s tomb is hidden behind that of King Tutankhamun, may lead to “one of the most important finds of the century,” the Minister said in November 2015. Not only was Nefertiti famous for her beauty, which remains evident through her world-renowned 3,300-year-old painted limestone bust housed at the Egyptian Museum in Berlin, but she was also the Great Royal Wife of the Pharaoh Akhenaten and his chief consort. Nefertiti’s burial site has long been a mystery as archaeologists have so far failed to find the queen’s tomb. King Tutankhamun’s tomb was found in 1922 under the supervision of another British archaeologist and Egyptologist, Howard Carter.